Home Mobile Android Not yet released, how come Pixel 3 has been sold? The Google Pixel 3 mobile family has not yet been released, but the leak continues to emerge. In fact, now the cellphone has been sold at a shop in Hong Kong. WahPhone Digital has display Google Pixel 3 XL at a price of HKD 15,880. This price is of course very expensive, but considering that this cellphone has not been released, it’s only natural that there are those who sell at that price. From Engadget report in cellphone box, there is a USB-C earphone, USB-C to 3.5mm adapter, USB-C cable to USB-C, USB-C cable to USB-A, and an 18-watt USB-C charger. Unfortunately in the box is not written complete specifications of the cellphone, in addition to the 6.3 inch screen size, 128 GB storage, model number G013C, and the color ‘Just Black’. Then there is also the article ‘Designed by Google. Made in China ‘in the box. Then there is a hologram sticker with a G logo on the right. While at the bottom there is #teampixel, like the Pixel series 2 box. When checked using the application, this Google-made cellphone was revealed using a Snapdragon 845 processor, but unique with only 4GB of RAM. 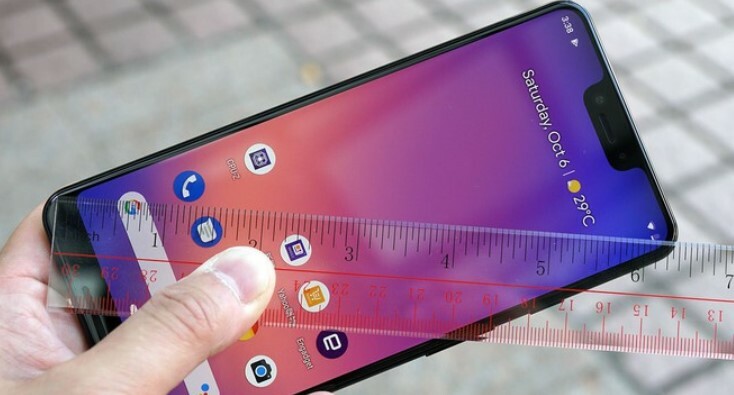 The screen resolution is 2,960 x 1,440 pixels, but the OLED type is not revealed and the notch on this phone is quite unique, unlike bangs on other phones. In Operating System Pixel 3 XL uses the latest Android, namely Android 9.0 Pie which features gesture navigation. There is also an Active Edge feature that can activate several functions that are selected by squeezing the cellphone. The main camera on this phone is only 1 with high resolution of 12.2 megapixels. Then the front camera has 2 and each resolution is 8 megapixels. Of these two front cameras, one of them uses a wide lens as applied to LG on a mobile phone. If all of its features have been revealed through leaks, and even the cellphone has been sold, what surprises can still be awaited from the 3rd Pixel launch event to be held in the coming days? Of course we have to wait until Google officially launches this new cellphone to get the answer.